Start Finding Your Family a Virginia Nanny Today! The number one objective of ABC Nanny Source is to foster long term relationships with each of our families and Nannies. We are committed to give back to the community in any way that we can. We recognize the importance of having the right Nanny become a part of your life and the impact it has. Time and again, many families have to settle for an inadequate Nanny or Daycare because they just really do not know where to go to find experienced and qualified caregivers. ABC Nanny Source offers your family only the most capable Virginia Nannies and caregivers to interview. Thousands of parents are now enjoying the benefits of having a first-rate Nanny provide the necessary devotion and care for their children. With the helping hand of a Nanny, children are able to have the individualized attention they deserve! 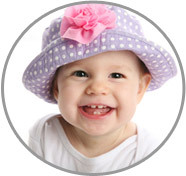 We understand that each VA family in need of a Nanny Placement Agency is very unique. You can be confident in knowing that our dedicated placement counselors will work with you diligently and tailor to your particular circumstances. Unlike many other Virginia Nanny agencies, ABC Nanny Source will work with you to be sure the Nanny that comes to your home is a match to you in every way! All of our Nannies have been through a comprehensive 10 Step Screening Process and, of course, have a true love for children! One important aspect of our interviewing process includes taking into consideration every candidate’s level of sensitivity and devotion. We want to be sure your needs are completely met depending on the specifications you require. Nannies are able to provide exceptional care to your children in all respects, including physical and emotional support. Typically, the Nanny chosen will become one of the closest friends children have as well as one of the most influential role models in their lives. Having a Nanny care for your children will likely develop into a far greater relationship with your entire family that extends beyond a professional level. It is one of our priorities to help cultivate this bond! We certainly look forward to assisting your Virginia family with in-home childcare needs and will be sure to provide the exceptional and personal attention you deserve! Our unwavering promise of extraordinary Nanny Placement Services assures families’ satisfaction and absolutely distinguishes our Virginia Nanny Agency from others in the industry. When you reach out to our office, you will work closely with a compassionate and specialized placement counselor who will take the time to answer any questions you may have concerning our services or programs! Thank you for trusting us with your family, we look forward to working with you!